How To Adjust A Rifle Scope - Step By Step Guide From Expert! How To Adjust A Rifle Scope – Step By Step Guide From Expert! Have you fired your rifle only to miss the target several times? 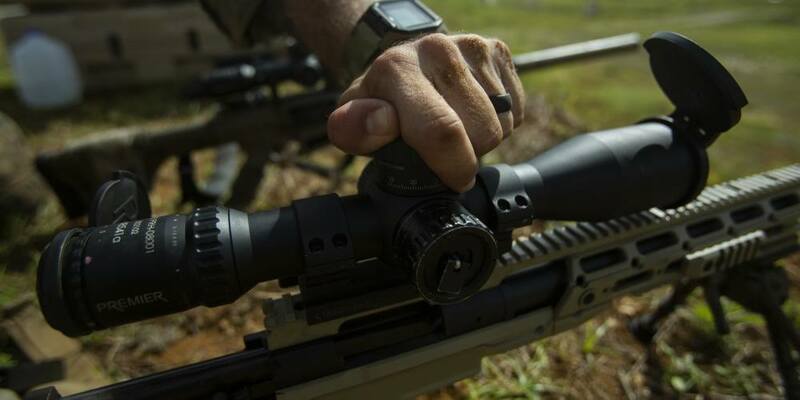 It could be you have not adjusted your rifle scope the right way. The most common mistakes that many people make when it comes to rifle scopes is mounting on the gun and then they forget about it. This is wrong! You need to know some techniques such as adjusting the scope. Knowing how to adjust a rifle scope is important because it helps you get accurate and consistent results when you are hunting or target shooting. How you adjust your scope highly depends on the type of rifle scope that you are using. Basically, here are important thing to consider when adjusting a rifle scope. I will take you through the process of adjusting a rifle scope so that you can do it correctly and achieve accurate shots. First, before adjusting your scope, you must boresight your rifle to make sure it has been mounted correctly. When boresighting, the rifle should be still for correct alignment and the viewpoint should be ascertained. Shoot a couple of rounds until you achieve a particular pattern to make sure u have a correct boresight. Choose a perfect rest position to ensure you are not straining your body. Make sure the ammo is the same from the one you are using to adjust the scope to the one you are using in the field. With all the necessary tools in place start your adjustments. Move the crosshairs to make sure you are in line with the target, further adjustments can be done later. The crosshair should be at the top dead center. The rifle should then be zeroed at a short distance in order to align the barrel and the scope, preferably twenty-five yards. Try at a hundred yards since most scopes are calibrated to function well with such a range. This is essential since it contains lenses that make the target to be portrayed correctly. The rings on it should, therefore, be tightened correctly to ensure mobility of the erector tube inside the scope. The rings should be well tightened to prevent erratic and jumping movements during the rifle's recoil. It is important to note that tightening the springs to an extreme may cause a variable to crush thus the scope behaves as if it has a weak or a very old erector spring. The next step is to fire some test shots after the above have done to perfection. During these tests make sure the scope is adjusted at about one inch lower than the zero since the target is at about a hundred yards. It is advisable to at least make ten shots especially if you are working with a new rifle but if you know your rifle five shots are enough. Making small tweaks is also recommended as it helps to get the finer adjustments. You also have to take the windage into consideration. Make sure wherever you are whether out in the yield or somewhere else you are well versed with the climate and how your rifle shoots in such a climate. The final step is to check your mounting. This is so because you can encounter difficulties getting the scope to zero or any other point. This happens often because of poor mounting. You have to then take off and remount the scope. Double checking the mounting is therefore required to avoid such situations. It should be noted that rifles are different hence making mounting mistakes is easier. There are also different types of scopes. It is advisable to conform to the modern technology and use modern rifles and scopes. You should use variable scope rather than the fixed-powered scope as the former allows less adjustment than the later. As for the variable scope, the springs of the erector tube should not be too tight to allow for its proper function. The shooter should also have the best rifle for safety purposes.